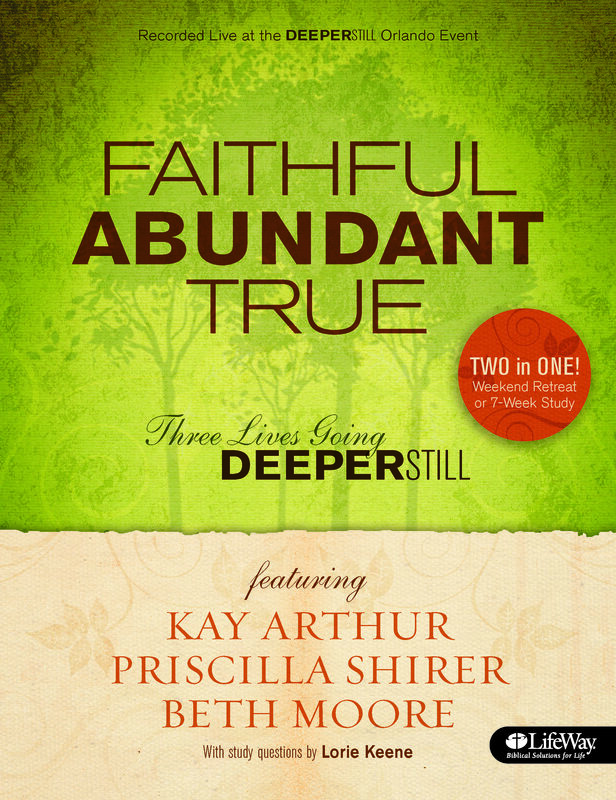 Join Beth Moore, Kay Arthur, and Priscilla Shirer recorded live at the Orlando Deeper Still conference. 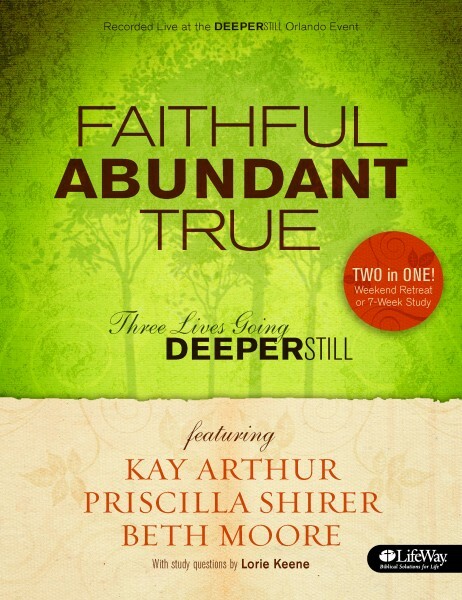 Join Beth Moore, Kay Arthur, and Priscilla Shirer in a women’s Bible study recorded live at the Orlando Deeper Still conference. Kay Arthur teaches from basically, the entire book of Hebrews! Hebrews is both an example of God’s faithfulness and a challenge to believers to be faithful in difficult times. Priscilla Shirer teaches from Ephesians 3:20-21 on God’s abundance. A fundamental basis for every believer is the absolute reality that God can do whatever He chooses to do. God’s ability empowers our faithfulness. Beth Moore teaches on the topic of discernment. In these difficult days it is absolutely essential that we learn to trust the Holy Spirit to enable us to determine what is true and what is false. While these three women each speak on the distinctive topic the Holy Spirit had lead them to teach, the messages result in a marvelous blend. Kay challenges us to faithfulness in difficult days. Priscilla points to the essential of trust in God’s ability, and Beth teaches on how to discern truth from error in these difficult days. The member book is a versatile study guide for this women’s Bible study that can be used in a retreat setting or for a seven-session study. Each teacher provides two weeks of study in a brief format that will take most women 15 to 30 minutes daily. As a bonus, LifeWay Women’s ministry has partnered with HomeLife magazine for some extra features that explore God’s faithfulness, abundance, and truth in practical ways.